Squish them! Squeeze them! Collect them! For the first time ever, your favorite Hatchimals characters are squishable! Made of a squeezeable material, Hatchi-Mallows are so much fun to smoosh! 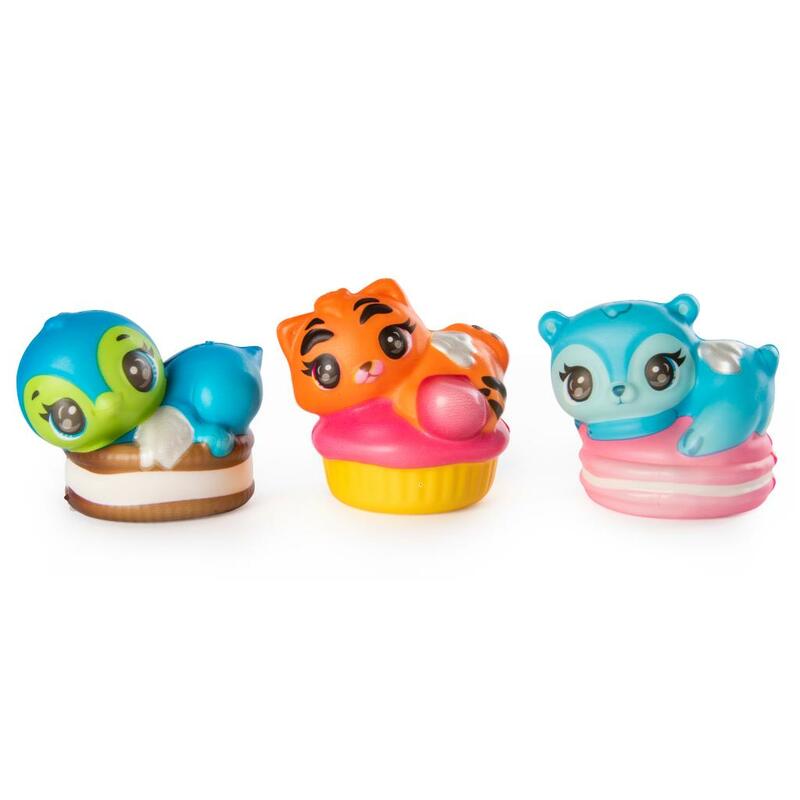 In Series One, these sweet characters are perched on their favorite sugary treats. Tigrette is ready to munch on her pink frosted cupcake, while Penguala can’t wait to try her delicious cookie! Hummingbear is just about to bite into her pink macaroon! Collect all three of these cuties and squish them everywhere you go! Super light and smooshy, these little sweeties are an adorable addition to any HatchiFan’s collection! 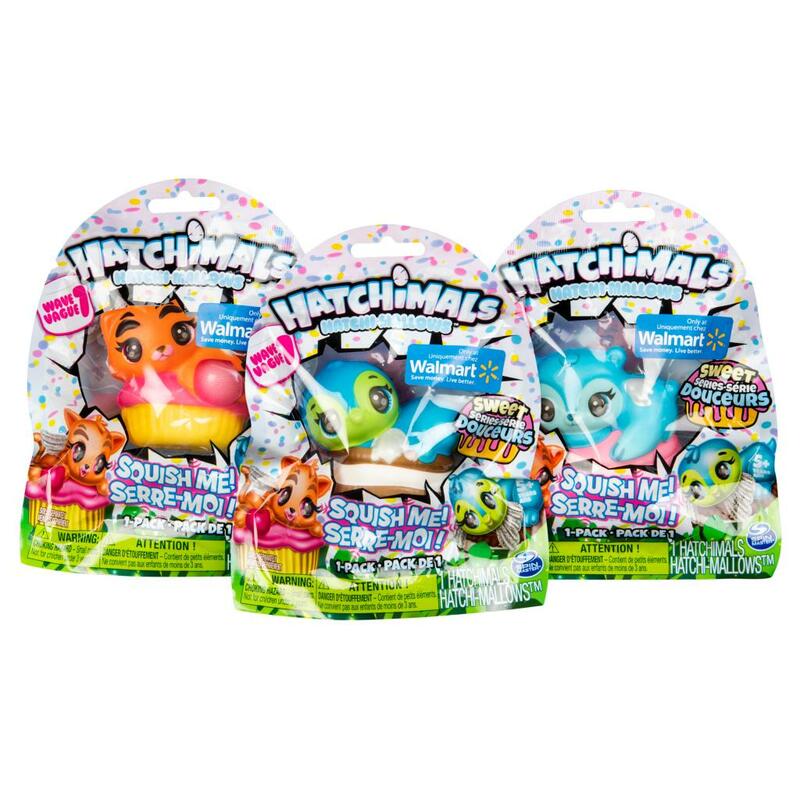 Squish and collect Hatchimals Hatchi-Mallows, exclusively available at Walmart! 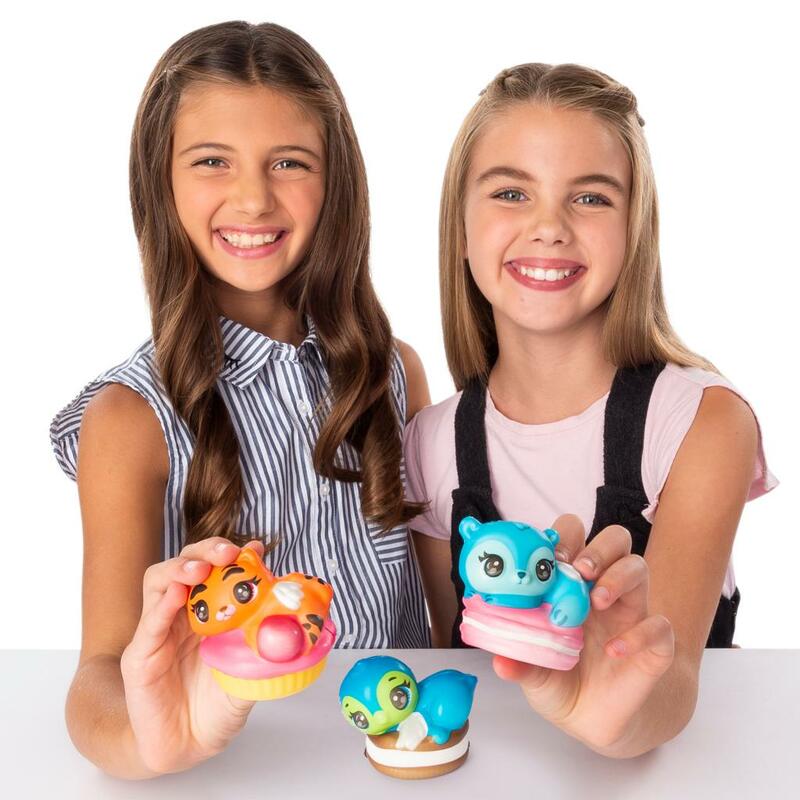 SQUISHY HATCHIMALS: For the first time ever, you can squish and squeeze your favorite Hatchimals characters! Smoosh them down then let go and watch them slowly rise back to their original cute shapes! 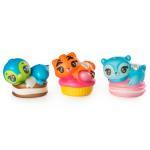 ADORABLE CHARACTERS: These super cute sweeties are perched on top of their favorite sugary treat! Tigrette has a pink cupcake, Penguala has a sweet cookie and Hummingbear has a pastel-colored macaroon! 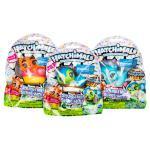 Hatchimals Hatchi-Mallows are a great gift for kids aged 5+. 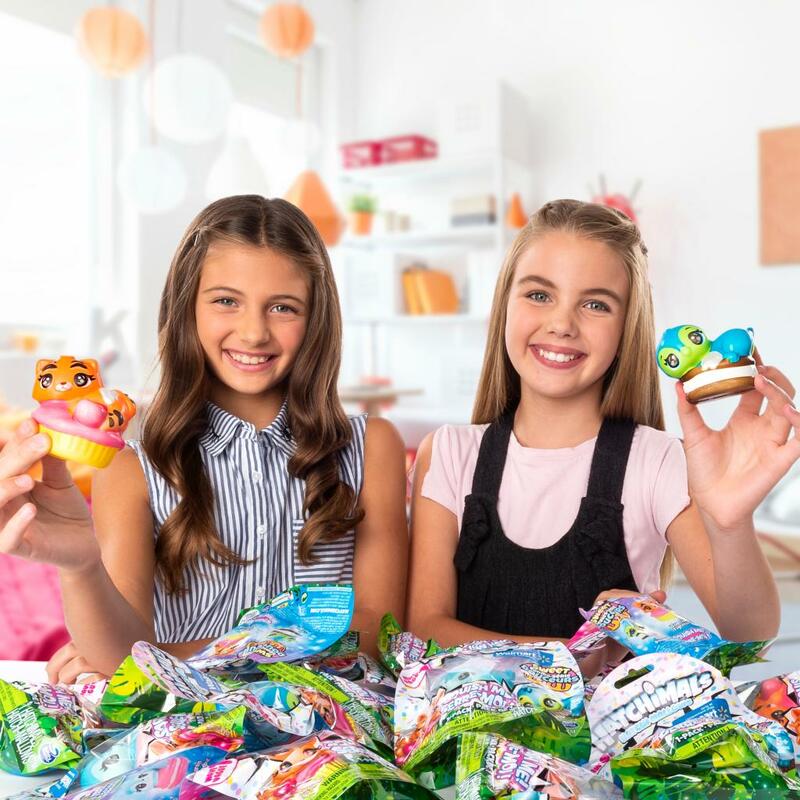 Squish your favorite Hatchimals characters!